Mukerjea, who was lodged at the Arthur Road Jail in Central Mumbai, had been complaining of chest pain for the last few days, a police official said. 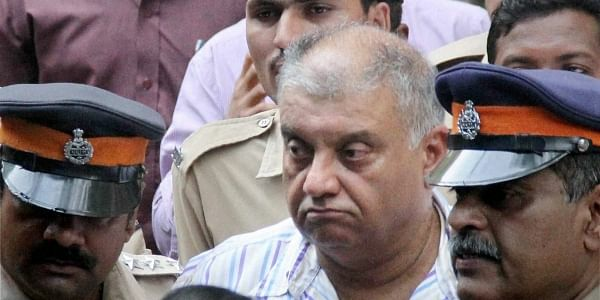 MUMBAI: Former media baron Peter Mukerjea, an accused in the Sheena Bora murder case, was admitted to the state-run J J Hospital here after he complained of chest pain, officials said on Sunday. On Saturday evening, he again suffered from severe pain in the chest following which the prison medical staff checked him and rushed him to the J J Hospital, he said. "Mukerjea was admitted to the hospital on Saturday evening for chest pain. The patient's condition is stable and he is undergoing treatment," J J Hospital's medical superintendent Dr Sanjay Surase said. The CBI told a special court here earlier this month that Mukerjea is the "silent killer" of Sheena Bora, the daughter of his wife and former media executive Indrani Mukerjea from a previous relationship. The April 2012 murder of Sheena Bora (24) came to light in August 2015 when Indrani Mukerjea's driver Shyamvar Rai spilled the beans after being arrested in another case. Indrani Mukerjea, her former husband Sanjeev Khanna, Rai and Peter Mukerjea were subsequently arrested in the case. Rai later became an approver and was pardoned.